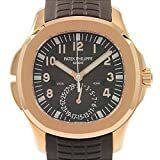 WatchiWatches presents The Best Patek Philippe watches reviews icluding user/ owner insights from one of the most iconic and prestigeous watch brands of all time. This master watchmaking brand is unrivalled in pedigree and status in the world of Horology with seemingly endless industry patents and top class awards for excellance in making Ultra Luxury Watch Brands for elite watch enthusiasts and Ultra high-net-worth individuals. What an impressive History of Patek Philippe watches! 1 What an impressive History of Patek Philippe watches! 2 Are Patek Philippe watches any good? 3 What is the Warranty like for Patek Philippe watches? The Company Patek, Czapek et Cie is founded by Antoine Norbert de Patek and Francois Czapek. Thereupon within the same year, the company creates its first pocket watches. Antoine Norbert de Patek attends the Exposition Nationale des Produits de l’Industrie in Paris. Another watchmaker named Jean Adrien Philippe receives a bronze medal for his keyless system to wind and set a watch invention. Patek, Czapek et Cie is liquidated. Jean Adrien Philippe signs a contract with Antoine Norbert de Patek, and the brand Patek et Cie is created and creates its first watch: no. 1181 featuring Philippe’s keyless wind and set functionality. Patek presents its smallest pocket watch calibre at the London Great Exhibition. Both Queen Victoria and Prince Albert purchase Patek watches. The company’s name is changed to Patek, Philippe et Cie. Antoine Norbert de Patek establishes a partnership with Tiffany & Co. in New York. The partnership continues to the present day. Antoine Norbert de Patek builds a global reputation for the luxury watches made by Patek Philippe. Despite an economic downturn in the US, Patek Philippe’s watches are a great hit and are taken up well by the establishment. 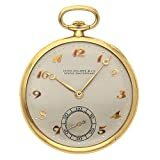 Patek Philippe is awarded a gold medal at the Parisian Exposition Universelle. Patek Philippe’s first tourbillon-regulated pocket watch is unveiled. Jean Adrien Philippe reveals a new horological invention, the slipping spring. Whilst not being connected to the barrel, the slipping spring can be overwound without breaking. This invention continued to influence the design of power reserves and self winding calibres throughout the watchmaking industry. Patek Philippe is awarded yet another gold medal at the Exposition Universelle. Patek Philippe presents the world’s first Swiss luxury wristwatch creation. Patek Philippe receives top honours at Austria’s Weltausstellung. During the next three years, Patek Philippe received top score with gold medals from the Exposition Internacional de Chile, and Philadelphia’s International Exhibition of Arts. Antoine Norbert de Patek dies, aged 65. Patek Philippe is awarded top prize at the Geneva Observatory Awards. Patek Philippe collects a ‘series prize’ for the creation of the top five pocket chronometers at the Geneva Observatory Awards the same year. The same honour was awarded again the following year in 1885. Emile Joseph Philippe, son of Jean Adrien, starts his traineeship with his father’s company. Patek Philippe receives a gold medal from the International Inventions Exhibition in South Kensington in the same year. The Patek Philippe watch brand receives a patent for the applied for perpetual calendar function for pocket watches. A few months later Patek Philippe receives a patent award for a movement with independent seconds, where paired mainspring barrels are simultaneously wound using Patek Philippe’s keyless system. Jean Adrien Philippe dies, aged 79. Patek Philippe’s chronometer watches receive the highest cumulative point score ever gained at the timekeeping trials of the Societe des Arts in Geneva. From 1895 to 1897, Patek Philippe presents its ‘supercomplication’ pocket watch. a timepiece featuring high numbers of difficult and delicate horological functions. In the historical process, the brand went on to create the most famous supercomplication watch in history, which became the most expensive luxury watch to be sold at auction. Patek Philippe wins 325 first prizes at the Geneva Observatory Awards. Patek Philippe is given a Swiss patent for the double chronograph model. Patek Philippe’s first ultra-thin watch movement is awarded a patent. Patek Philippe gains first prize at the new Kew-Teddington Observatory trials. Patek Philippe presents its first complicated ladies wrist watch, featuring a five-minute repeater. Patek Philippe’s first split-seconds wrist chronograph watch is premiered. Patek Philippe’s first minute-repeating wristwatch is exhibited. Patek Philippe premiers its first perpetual calendar watch. This went on to become the benchmark for the Patek Philippe Perpetual Calendar Chronograph, undoubtedly one of the most important luxury watches ever made. From 1925 to 1933, Patek Philippe delivers the Henry Graves Supercomplication. This iconic and legendary masterpiece becomes the highest standard for all complicated timepieces, with 900 separate parts and 24 complications. Patek Philippe premiers its first Calatrava model. 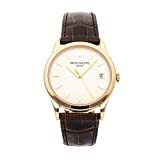 The understated style of the piece will make it a Patek Philippe widely owned classic. The top watch brand unveils the 1415-1 HU World Time chronograph. This watch is now one of the most sought after masterpieces in the history of luxury watches. Patek Philippe presents Reference 1518, aka the Perpetual Calendar Chronograph. This timepiece is the first serially-manufactured perpetual calendar with chronograph in the history of luxury watchmaking. Ashtonishingly no other luxury watch brand even attempts a serial production for a perpetual calendar with chronograph for more than half a century. Patek Philippe Reference 1518 is unquestionably thereby one of the most important wrist watches ever made in the history of watchmaking. Between 1951 and 1954, Patek Philippe supercedes reference 1518 with reference 2499. The new perpetual calendar with chronograph wristwatch now becomes the all-time benchmark watch for serious collectors. Patek Philippe receives a patent for its first self-winding mechanism. Patek Philippe’s time zone mechanisms receive awards for Swiss patents. The top watch brand launches the Golden Ellipse. The iconic and legendary Nautilus is unveiled. Gerald Genta confirms his title as king of luxury watch designers by designing the Nautilus in only 5 minutes on a piece of paper in the canteen hall during the Basel Trade Fair. The Nautilus will go on to become one of the most sought after luxury sports watches in the history of sports watches. (Genta was the man behind the Audemars Piguet Royal Oak, the Bvlgari-Bvlgari, and the IWC Ingenieur). Patek Philippe unveils its first skeletonised wristwatch. Two platinum Patek Philippe Perpetual Calendar Chronographs (ref 2499/100) are made for Henri Stern on special commission. One still is in the Stern family museum in Geneva. The other was sold at auction and eventually ends up in Eric Clapton’s collection. The brand premiers the new successor to ref 2499/100 called the Perpetual Calendar Chronograph reference 3970. Patek Philippe unveils the Calibre 89 in celebration of its 150th birthday. The limited edition supercomplication watch’s complexity remains unchallenged up until today. Patek Philippe supercedes reference 3970 with reference 5020. Being a perpetual calendar chrono wraped in a ‘television’ type shaped case. The watch does not get taken up by Patek enthusiasts and is slowly taken out of production. A collector’s market does however develop for this watch and a little while later is auctioned for several hundred thousand dollars. The Patek Philippe brand launches the Gondolo collection. The newly released Reference 5004, a perpetual calendar with rattrapante (split seconds) chronograph is put into production. However only 12 were made annually, making the Reference 5004 a scarce and highly valuable luxury watch. The first Patek Philippe Aquanaut model is launched. Patek Philippe’s Star Calibre 2000 is released in celebration of Y2K. This pocket watch is packed with six totally new horological inventions and holds 21 complications. Shortly after the World Time wristwatch is launched. This new innovation for time zone movement facilitates the correction of every display element with one press of a button, without any loss in accuracy of the calibre. Patek Philippe’s first double-faced wristwatch, The Sky Moon Tourbillon makes its debut. Patek Philippe releases the Reference 5970 with a 7 year production run becoming a highly respected perpetual calendar chronographs. The Reference 5970 becomes a top collector’s timepiece at watch auctions. Patek Philippe establishes its New Technology department, and consequently produces its first watch, the Advanced Research Annual Calendar. The watch incorporates Patek Philippe’s first ever silicon escape wheel. The Patek Philippe Nautilus celebrates its 30th birthday. The Patek Philippe Brand Seal is launched, a mark guaranteeing the quality of the entire Patek Philippe luxury watch experience, from finished item to after-sales services. Shortly afterwards the brand evolves into Patek Philippe SA Geneve. The first in-house movement with this new brand name is a hand-wound chronograph designated as the CH 29-535 PS, which is the first ever created exclusively by Patek Philippe stable. Patek Philippe release its first triple complication wristwatch shortly followed by the Reference 5270, a perpetual calendar with chronograph. The Brand unveils its Reference 5204 with an in-house perpetual calendar incorporating split-seconds chrono. In the same year, Eric Clapton’s platinum Patek Philippe 2499/100 is sold at auction for over three million dollars. A Patek Philippe 5004T sells for just under four million dollars at the one and only watch charity auction. Patek Philippe’s Grandmaster Chime becomes the most complicated and ornate wristwatch with a double-faced timepiece designed to be worn with either side facing up. One side focuses on time-telling complications, and the other side on the perpetual calendar complications. In November 2014 A Patek Philippe Supercomplication Pocket Watch Beats Its Own Record At Auction and sells for over $24,000,000. 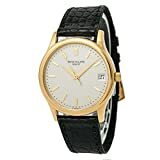 Are Patek Philippe watches any good? The above history no doubt answers that question. Unlikely any watchmaker can match the awesome pedigree of this elite watchmaker. It appears that there are no bargains to be had from this elite watch brand. Any pre-owned watches that come into the market do stay around for long. This in itself is testimony to how revered this watch brand is with seasoned watch collectors and enthusiasts. What is the Warranty like for Patek Philippe watches? 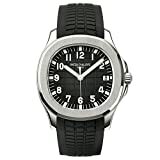 Save your favorite Patek Philippe watch in the shopping cart before finalising purchase options. 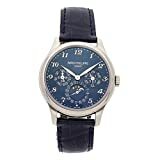 Patek Philippe is a watchmaker par excellence with 7 watches listed as the most expensive sold at auction, In particular, Patek Philippe Henry Graves Supercomplication, renowned as being the world’s most complicated mechanical watch until 1989, until now still has the title of the most expensive watch ever sold at auction, reaching a final price of 24 million US dollars in Geneva on 11.11.14. Patek Philippe & Co. leads the world of horology into the 21st century and beyond with unmatchable credentials. WatchiWatches is proud to be able to present this elite watch maker for wider dissemination. Watchiwatches is the premier watch review site and comparison site for the most prestigious and leading Manufacture d’horlogerie. Patek Philippe have been leading the way for best luxury Swiss manufactured and most mechanical watches as well as movements since 1839 with hundreds of awards.